As I scroll through my Twitter feed, I often pause to see the headline: “The Perfect Bag” or “The Only Case You’ll Ever Need.” Unabashedly, I click through hoping for some truth to the headline. I always walk away disappointed and felt like a fish-on-a-line. Crowdfunding has bankrolled brilliant ideas, from a complex smartwatch to a not-so-brilliant potato salad. 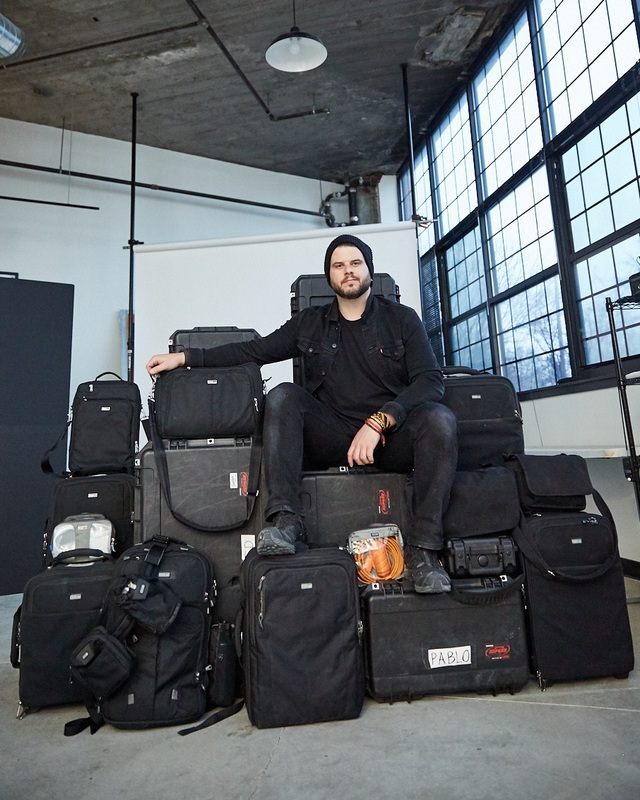 Over the years, I’ve seen successful campaigns for a dozen photography bags and cases, some proved to be a bait and switch gimmick, while others put up a good fight. Along the way, I always stuck with the bag or case that could withstand the test of time. I never wanted a fancy superman-steel-military-grade zipper or a leather branded chest strap with gold buckle. I wanted durability, versatility and most importantly practicality: a bag for the working professional photographer. In 2012, I was the acting social media marketing manager for a local photography equipment retailer Outdoor Photo Gear. Everyday I saw the latest and greatest bag or case come through the door. Usually, it was my job to review the product and put it play. Many of the cases were excellently constructed, mobile and fashionable. But, just didn’t work for my need. They were never too versatile or durable enough. Straps broke, clips snapped, and some fabric would soak water like a sponge. Common sense took a backseat to fashion in many of the bags and cases. There was one brand that always hit the mark, where they blended practicality with fashion and smart innovation: Think Tank Photo. However, with their massive product line and introduction of new product often, it was overwhelming to find the right fit for my workflow. I wanted wheels for the airport, I wanted black, I wanted lightweight with substantial depth (for long lenses), I wanted rugged protection from all weather and I wanted reasonable cost. It was a big ask for any bag company, but then stumbled upon the Think Tank Photo Airport Security. Those who know me know I’m very particular with my studio and equipment arrangement. Everything has a place and there is never any leftover room or empty slots. 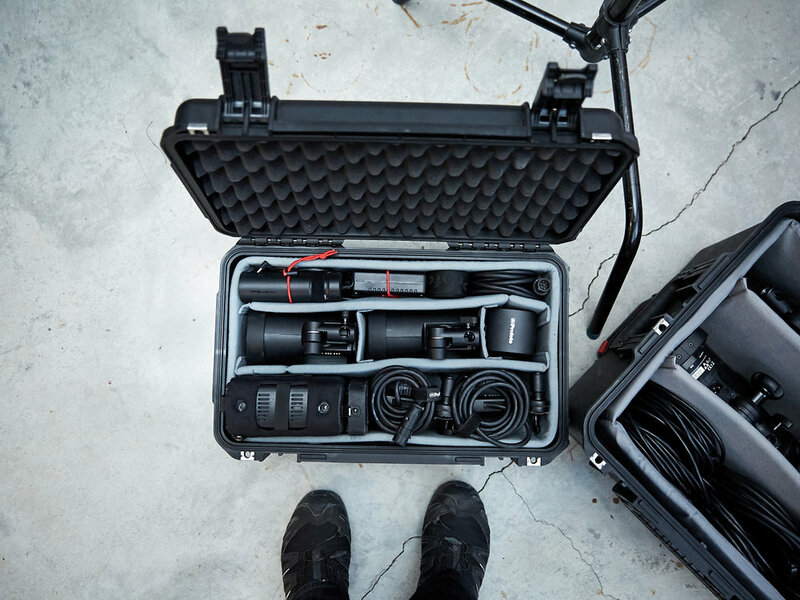 At first, the dividers in a roller case such as the Airport Security can be intimidating, but once you lock it all in with the perfect amount of equipment and divider sections, it only gets easier if need to you make a variation to the kit. As time passed, I saw the need to store more equipment including an assistant kit and a travel camera kit and a backpack which would fit into the overhead storage on an airplane, internationally. The demand led me to the Airport Airstream, Airport International and the Airport Accelerator backpack. All these bags and cases are a smaller version of the Airport Security, but still provide plenty of depth and durability. The Accelerator backpack came into the picture for one particular project which took us up to the summit of Mount Kilimanjaro. Due to weight restrictions and logistics we couldn’t haul a bulky roller case up the mountain, so we needed a backpack that could hold most of the equipment that a roller case could. The Accelerator was the perfect answer and our porters loved us for it. 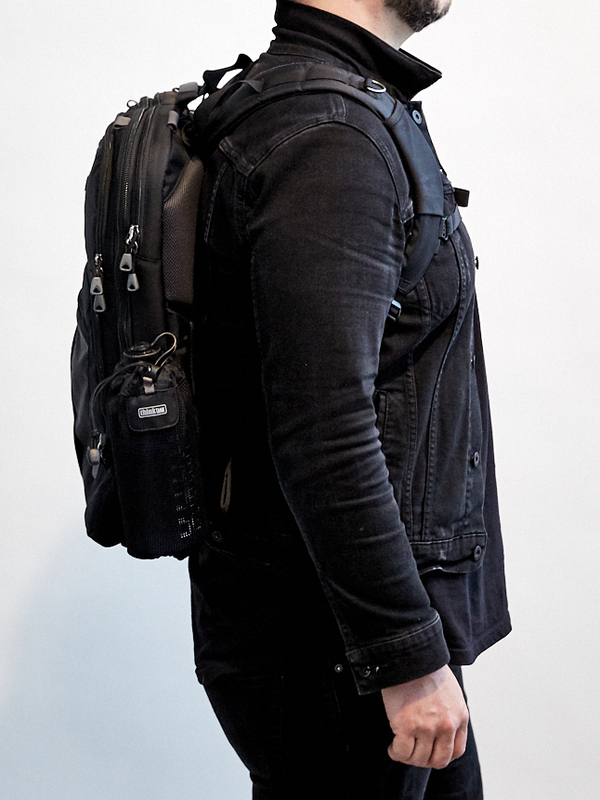 The Accelerator backpack is robust and deep and has plenty of space for travel accessories such as a laptop, tablet and portable batteries. 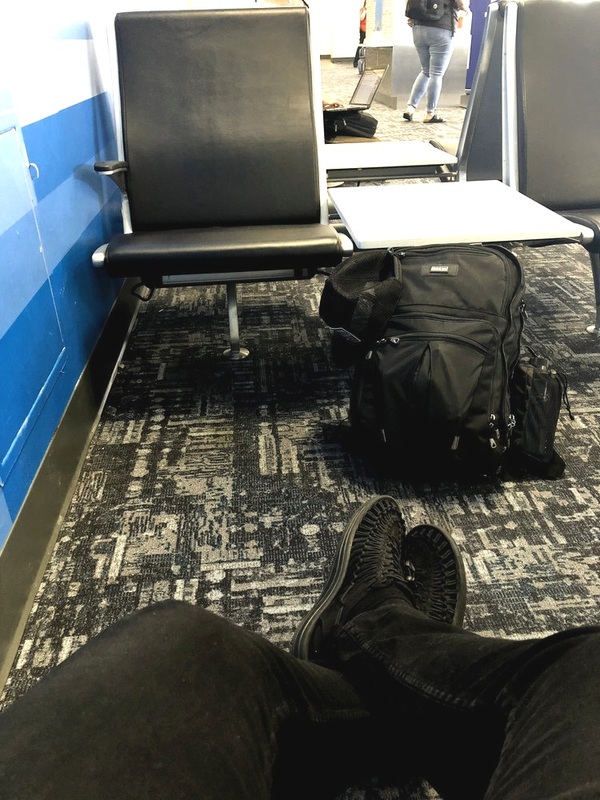 At the turn of 2017, my travel schedule had really amplified and I was on the hunt for not only another backpack, that was more low-profile than the Accelerator and could work as an everyday backpack for short domestic travel. After some trial and error with non-camera bags, I welcomed the Think Tank Photo Shape Shifter 17 into the arsenal. It’s truly an incredible travel camera backpack: pockets everywhere, a completely versatile camera section that expands to hold more equipment and adjustable straps at every stitch. And, with its weather resistant material and rugged design, I know that I might get wet, cold, sweaty or sunburned, but my gear won’t. In addition to the Shape Shifter, I purchased the Retrospective 5 and Retrospective 7 side shoulder bags as well as the Think Tank Photo modular belt with modular accessories. Accessories such as the “Stuff It!” organizer much and the “R U Thirsty” water bottle pouch for the super run-gun projects in the “bush.” I felt my collection was complete and had a bag or case for every style of project and application, including the Think Tank Photo My 2nd Brain Briefcase for the local runaround. The small shoulder bags for everyday travel, the backpack for the small projects and the roller cases for the big projects. 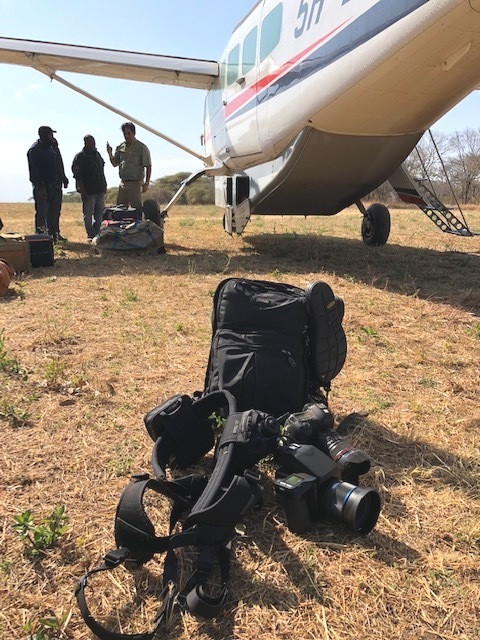 As the equipment list grew larger, the demand for equipment on every job became more extensive and the locations became even more exotic, I had to look into hard cases that I could check for air travel. I could no longer carry-on all the equipment needed for the job. That is when I stumbled upon my friends at SKB Cases. Ironically, I had once owned and SKB road case for my amplifier head, back in the music business days. I was always happy with the case, so I stuck with the iconic SKB brand and purchased a 28.0 x 20.0 x 13.7" SKB iSeries 2617-12 Waterproof Case a.k.a. “Sue” designed to hold all my Profoto D1 monolights. Upon arrival of the case, I royally screwed up the mold for the cubed foam and gave SKB a call to get another set of foam sent out. Fortunately, I was met on the other line by Jerry, a stand-up gentlemen, who gave me an incredible customer service experience. Jerry explained to me the history of SKB and their new partnership with my friends at Think Tank Photo. Jerry proceeded to explain that Think Tank Photo was now outfitting many of their hard cases with their custom dividers. It was truly a match made in heaven. I was thrilled, because of my partnership and love for Think Tank Photo. Jerry sent me a set of Think Tank Photo dividers for the hard lighting case I had just purchased. This phone call bloomed a set of cases I would eventually stock in my studio. Including the SKB iSeries 3019-12 Waterproof Case a.k.a “Ted” which houses my ViewSonic VP-3268 4K monitor for client preview as well as the Tether Tools Aero Table, Tether cables and tether accessories. The SKB iSeries 2011-7 with the Think Tank Photo dividers a.k.a “Pablo” for the expensive camera equipment and mobile lighting I have to on occasion check into the airline baggage. Also, the SKB iSeries 6018-8 Waterproof Case a.k.a “Sid” which always contains our 6x6, 8x8 and 12x12 modular frames and silks for stopping down the sun when we needed. Last but not least, the SKB iSeries 5014-6B Waterproof Case a.k.a “Dora” that is long enough to store backgrounds, light stands and other long equipment but, short enough (60”) to check. The SKB product line was built to last. 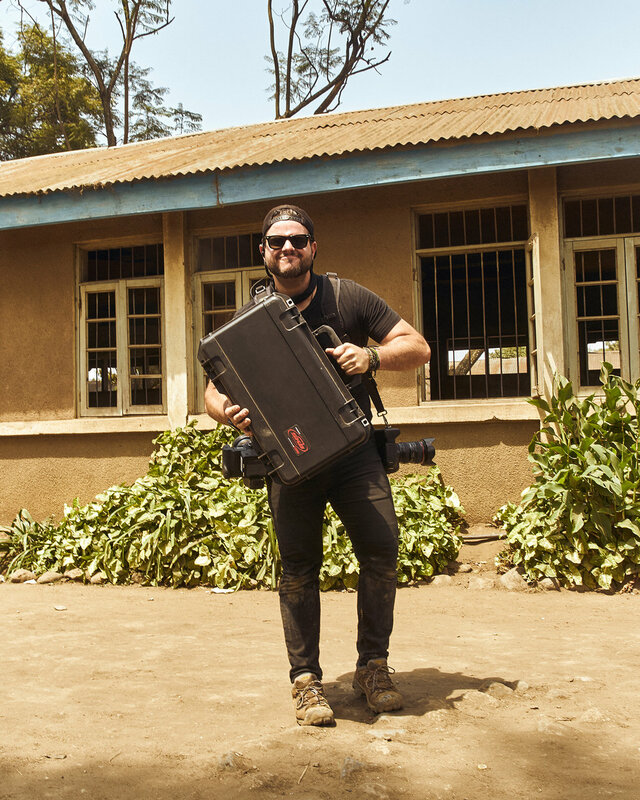 I’ve taken the cases all over the world in many different strenuous environments, such as the desert of Iraq or the beaches of Belize up to the summit of the cold desolate peak of Mount Kilimanjaro. They have taken some nasty spills and some hefty hits, nothing has broken or breached the Polypropylene Copolymer Resin. This space age material is stronger and more durable than many other resin compound and is considered the lightest among all major plastics. Polypropylene has a high resistance to corrosion, UV light, and solvents. This might be an overwhelming amount of bags and cases for you, but every bag and case has its purpose and place in my workflow. International travel requires efficient organization and safe storage. 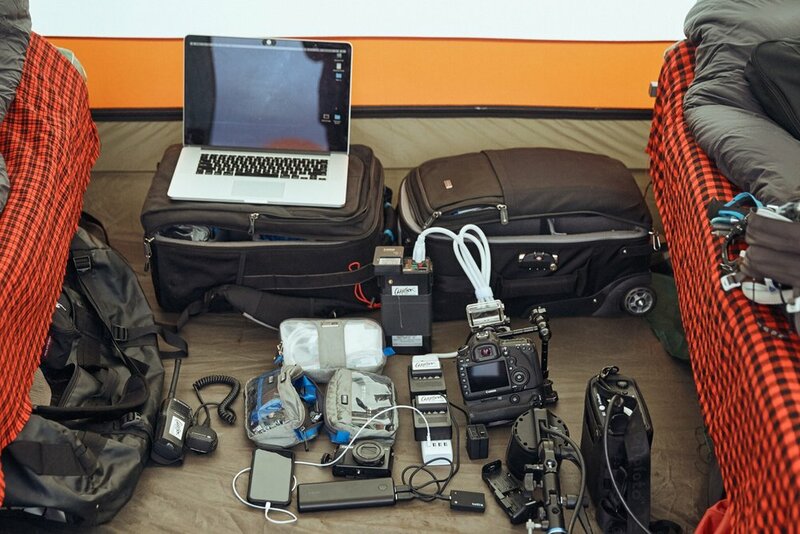 We spend a lot of time prepping and packing for our assignments throughout the world. On many occasions, we spend an entire day making sure every piece of equipment has a perfect place and more importantly we know exactly where it is, when we need it. Without the innovation, quality assurance and reliability of Think Tank Photo and SKB cases, my equipment would have been in repair or replaced long ago. I’m not here to sell you the perfect bag for you, I can only share what the perfect bag is for me. Think Tank Photo and SKB has nailed it in both their partnership and their product mix. Additionally, this post was not paid for, it wasn’t event asked of me. I wrote this because I genuinely love these bags and cases. As you can tell, I am definitely a gear-head. I love any tool that I can use to become more efficient. But, I've learned that the gear does not make the photograph; it’s the eye of the photographer. 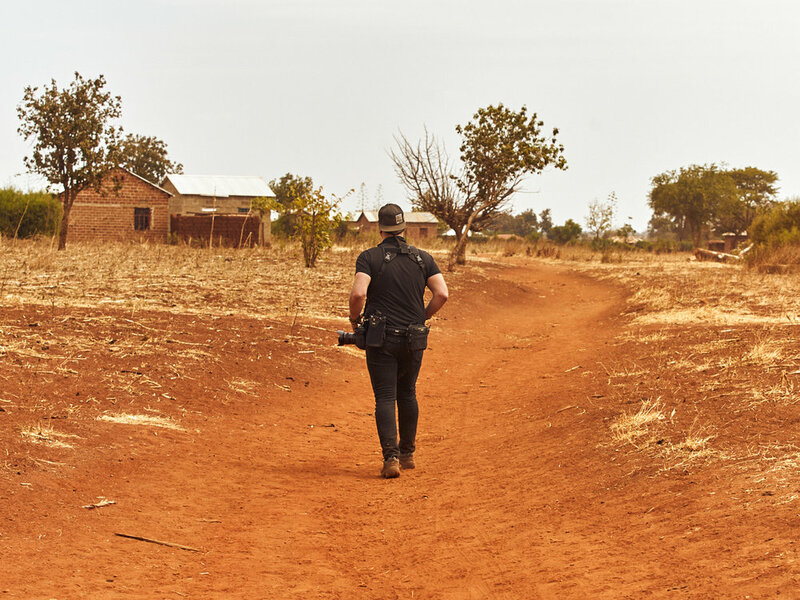 Great gear doesn't make a great image; creativity, vision and the ability to connect with people does. If you want to see my full equipment list and all the Think Tank Photo and SKB gear I use(and abuse), head over to the gear section!